There's something magical about Disney that appeals to everyone. And I do mean every kid, teenager and even adult. I love how Disney brings back the child in me, how it makes troubles vanish and how fantasies seem to come true when you feel its wonders. For one, my big girl has always been a Disney fan since she was a toddler. She loves to watch Mickey Mouse ClubHouse, she adores Snow White and Cinderella, and she was over the moon when we brought her to Disneyland in Paris. Now, with a girl who loves Disney and who has recently tried ice skating and fell in love with the sport, what is the best thing to do during the March holidays? Watch Disney On Ice, of course! Woohoo, we are so psyched up to watch our first show ever! 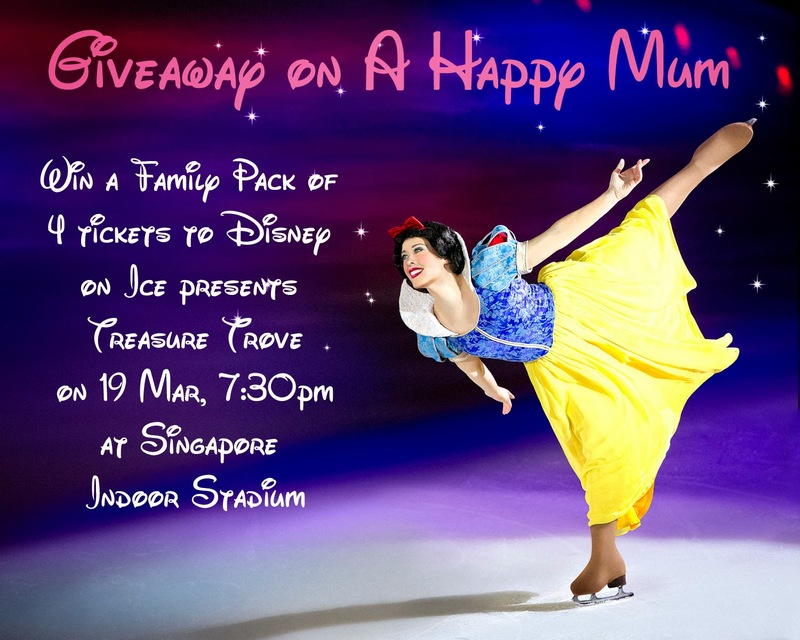 Disney On Ice presents Treasure Trove skates into Singapore for 11 performances from 19 March 2014 to 23 March 2014. This year’s theme, Treasure Trove, takes you on an action packed adventure with 50 of Disney’s most loved characters. With an extraordinary lineup of hit songs, memorable scenes and timeless characters, it will have audiences reliving the magic of Disney’s most cherished animated films from the first animated film, Snow White and the Seven Dwarfs, to the 50th film, Tangled. Produced by sisters Nicole Feld and Juliette Feld, Treasure Trove is an action-packed ice adventure that takes audiences on a journey through their favorite Disney stories. 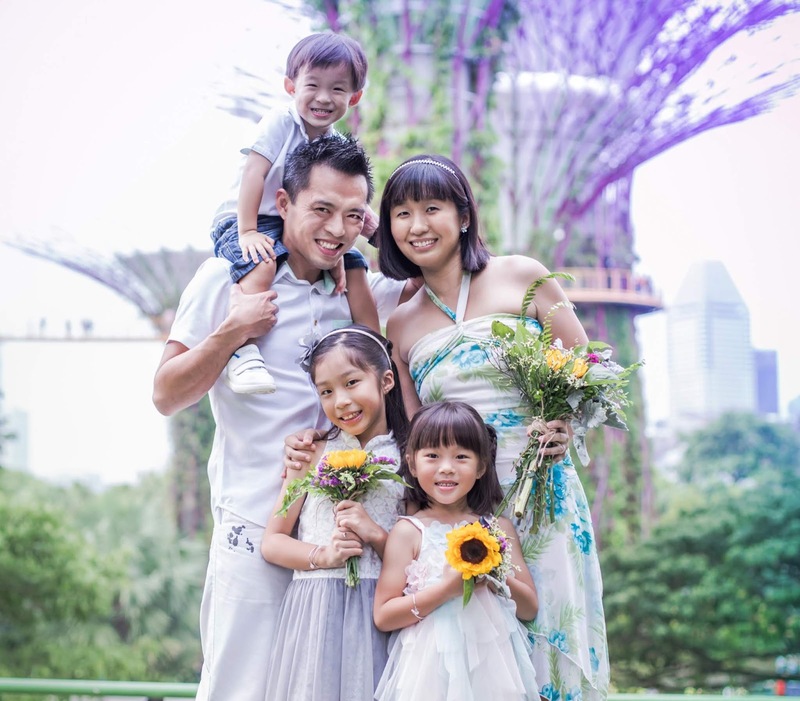 “Crowd interaction is a key component to the Disney On Ice experience," says Juliette. "We want the audience to feel as if they’re a part of the show, and that’s evident in this production. Rapunzel and Flynn will share a special moment with an audience member when they release a lantern together. Sebastian will invite everyone to be a part of the rhythm during ‘Under the Sea’. Peter Pan and Tinker Bell will encourage the crowd to echo the crocodile’s ‘tick tock’ and Aladdin will stop to shake hands with guests in Agrabah." 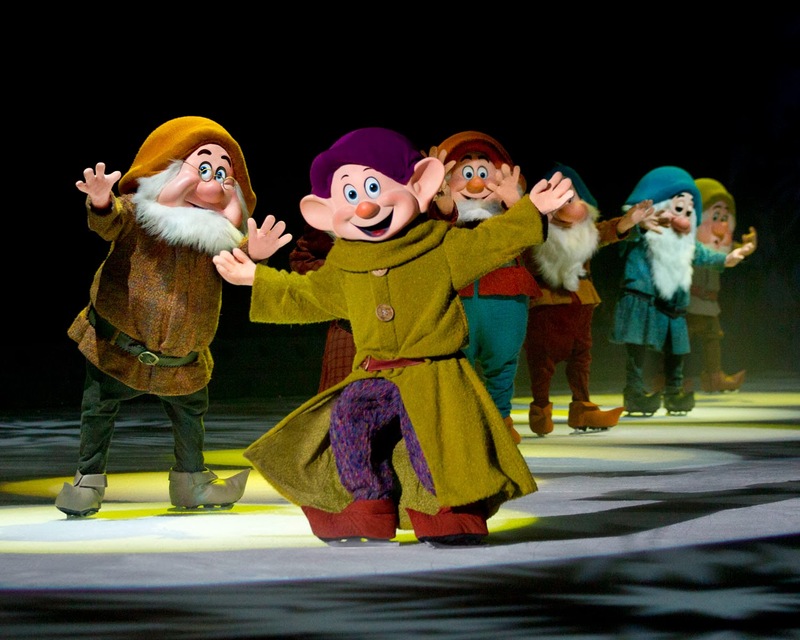 Here are 12 interesting facts about Disney On Ice. 1. 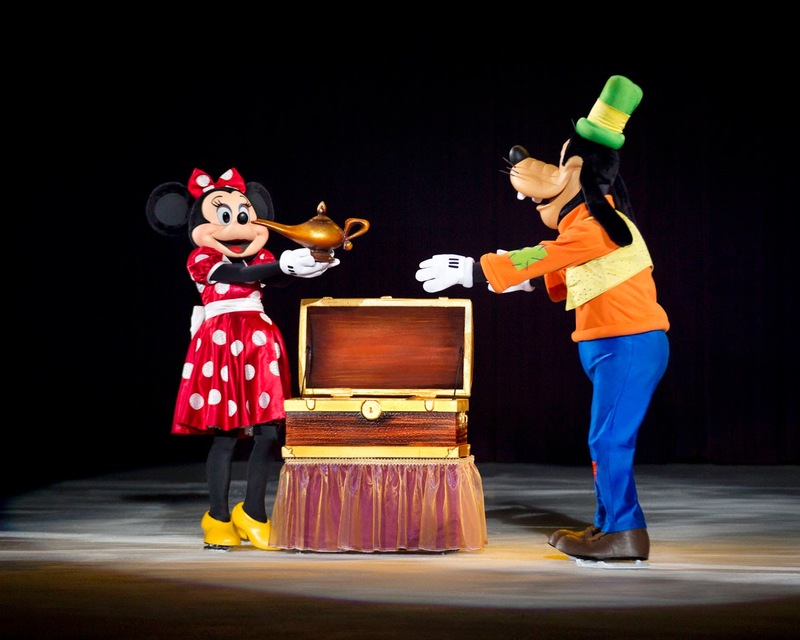 Disney On Ice was founded in 1981 and has travelled to over 70 countries and six continents. 2. The average size of the ice skating surface is 21m x 43 m.
3. It takes 12 trucks to transport all production equipment for set-up. 4. There are 2 washers and 2 dryers that travel with the production crew for every tour to ensure the skaters are fresh and clean throughout the tour. 5. It takes 14 hours to set up for one Disney On Ice show. 6. But just 3 hours to tear down the production. 7. 102 different colours of paint are used on the props for every production. 8. 1,300 yards of fabric are used to make the costumes for all cast. 9. At least 300 costumes are used in every production. 10. All 43 cast members have an average of 5 costume changes per show. 11. 20,000 Swarovski crystals are hand placed on the characters’ costumes for every show. 12. The total number of people who worked on costumes alone for Treasure Trove is 50. Amazing, isn't it? 300 costumes and 20,000 crystals! Honestly, we really can't wait for the March holidays to come! When I asked Angel who she is most looking forward to seeing at the show, I was half expecting her to say Minnie or Daisy, but her instantaneous reply was "Snow White". Coming from a girl who says her ambition is to be a princess, I guess that is not a surprise. Now, we are just counting down to the opening show! 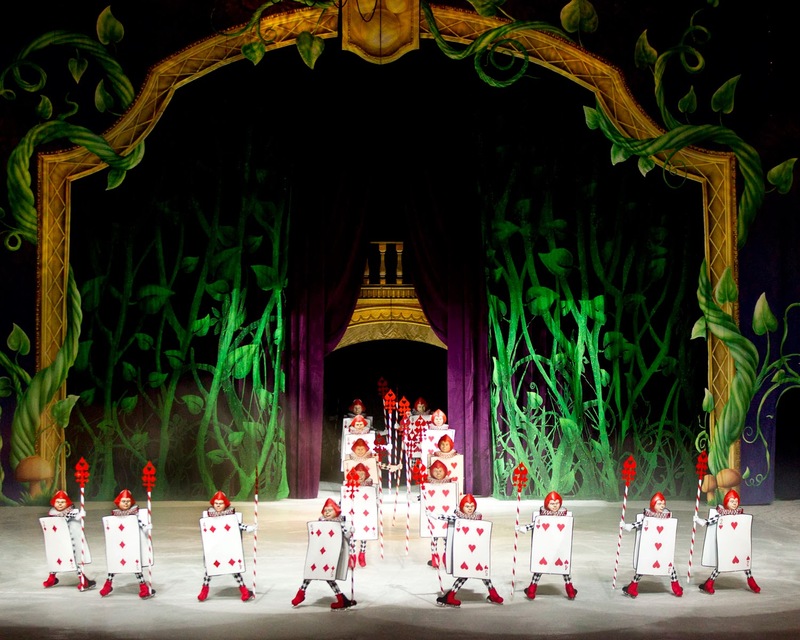 To learn more about Disney On Ice, please visit their website or Facebook page. Are you as excited as we are too? 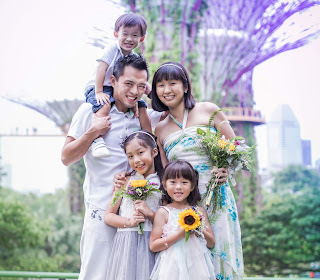 Great news, we are sharing the joy and giving away a family pack of 4 tickets to one lucky reader! All you have to do is leave a blog comment telling me which Disney character you most look forward to seeing at Treasure Trove. Click on the widget below to indicate you have done so and follow the rest of the steps to increase your chances of winning! 2) Tickets are not for resale. Please make sure you turn up. 2) The winner will be notified by email and must respond within 3 days, if not a new winner will be picked. Disclosure: We received complimentary tickets to the opening show of Disney On Ice presents Treasure Trove. No monetary compensation was received and all opinions are my own. My Girl is a Big fan of all the Disney Princesses especially Ariel and Belle! Love to bring her there!! My roommate and I are huge fans of Beauty and the Beast! We have been to HK Disneyland on separate occasions and it would really be nice to see this show together! We can't wait to see Belle! I hope I win! 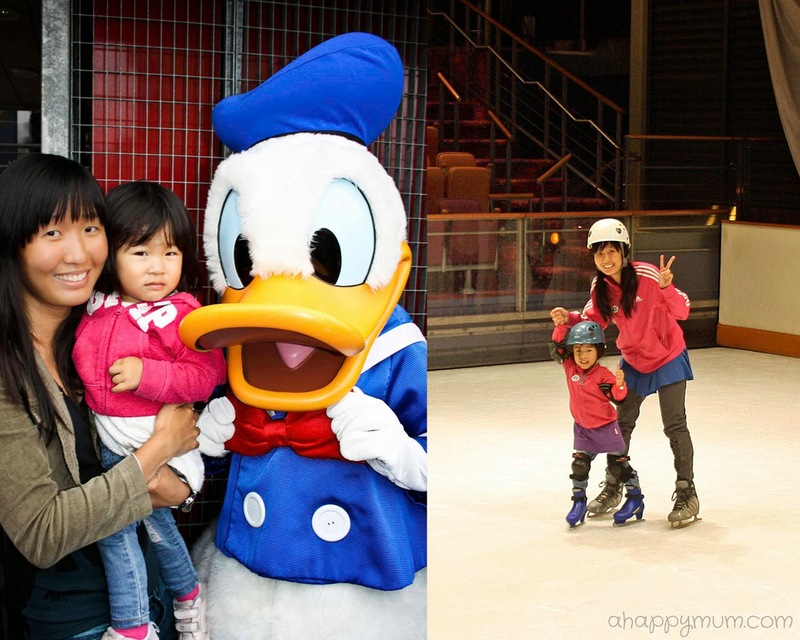 My 3 kids love Mickey and Minnie and they have never been to a Disney on Ice show. Hope to bring them there and see their overjoyed faces! We are big fan of Mickey & Minnie!!! Hope that I have a chance to watch them live. My favourite is Cinderella. My kids like Mickey mouse and Lightning McQueen. happy new year! really hope to win the tickets to bring my child to the show. she loves Snow White! My boy likes Mickey & Frens and my gal loves the princesses especially Sleeping Beauty & Cinderella! Hope to win tis special treat for them! Alice! Because we are reading the book chapter by chapter every night now! We like Mickey and Minnie the best! Mickey Mouse is definitely my boys' favourite! repost (earlier post forgot to put email) Mickey mouse is definitely my boys' favourite! My boy loves Mickey Mouse! Snow White because my girl love Snow White so much that she dress up as I Snow White on her birthday and insisted to have a Snow White cake too. My boy would love to see Mickey Mouse! Rapunzel from Tangled. It's all about the hair! Love mickey most as he is the original Disney. It jus to to be MICKEY! Our all time favourite!! My son, Hubby and myself are a Big Fan of mickey! And we love singing "M-I-C-K-E-Yyy M-O-U-S-Eee"
I love the dwarfs. Sorry Mickey, but my daughter loves Minnie mouse more due to Bowtoons. My girl is a big fan of Mickey & Minnie Mouse!!! Rapunzel from Tangled! She is my gal's favourite character!!! She even has her special hair accessories and costume and shoes! My son loves Mickey Mouse! Thanks for the giveaway and the mention of production facts. Its an eye opener indeed. Seven dwarfs as they are cute in their own ways. Ariel! My daughter's favourite character besides Hello Kitty. Mickey mouse. My boy's favorite character and his grow up companion (literally). My girls love Princess Ariel and Princess Aurora. Thanks for hosting. My daughter is a Big Fan of the Disney Characters especially the Disney Princesses and Minnie! We like Mickey & Minnie! My kids love Mickey and Donald for they are the best of friends and funny in everyway! Hi My kids are fans of Mickey Mouse so he's the one they'll be looking forward to. My 2 kids love ALL OF THEM!! Our favourite Disney Character is Mickey Mouse. Thank you for hosting. My girl is totally in love with Sleeping Beauty. for the last time he wanted to surprise me during our 11mth with us a pair of tickets in Nov 13 and had to give it away because I planned a trip already. My girl would love to see all the princesses. We have never been there before and she is persuading me to take here there!